On 16th March, Walter Méndez Barrios (shown left) was shot and killed outside his home in Las Cruces. 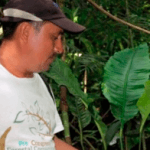 He was a well-known environmental rights defender, who tried to protect natural resources in communities in the Maya Biosphere Reserve. He was a founding member of the FPCR (Petenero Front Against Dams), formed in 2005 to defend land rights, water rights and other natural resources. On 13th April, Benedicto de Jesús Gutiérrez Rosa, Juan Mateo Pop Cholom (shown left) and Héctor Joel Saquil Choc, all forestry engineers with the National Institute of Forests, were ambushed and shot to death by gunmen in a car around 2 pm as they were driving in Carcha, Alta Verapaz. They were returning home from a finca where they had been working for the day. 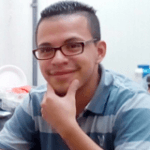 On 12th November, Jeremy Abraham Barrios (shown left) was shot to death. He worked as the Assistant to the General Director of CALAS (Centre for Environmental and Social Legal Action in Guatemala). CALAS is a human rights organisation based in Guatemala City and has been active in denouncing abuses committed by mining companies as well as in the protection of environmental rights. There was no prior indication that he had received any threats, although the organisation had received warnings.